The Snow Leopard Cub was designed for people who use their beer can (Fosters) as a backpacking mug. 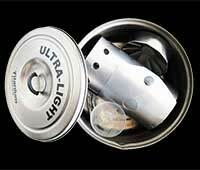 The stainless steel windscreen can protect your gear by wrapping the windscreen around the outside of your can. Or you can store your windscreen inside the can: your choice. 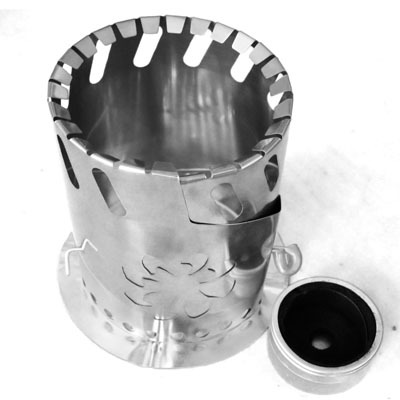 The windscreen is also compatible with Batchstoves BCR pot.